June 10, 1998: Rita Young, 82, of 116 N. Wyoming St., Hazelton, died Monday evening at home. Born in Hazleton, she was the daughter of the late Leon and Angeline (Marchetti) Genetti. She was a member of St. Gabriel’s Roman Catholic Church, Hazleton, and was a 1933 graduate of the parish’s high school. 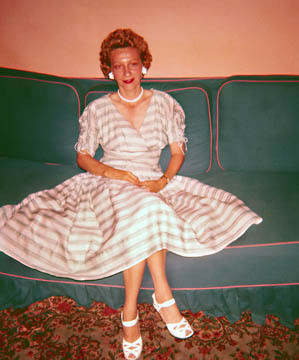 Mrs. Young was previously employed by Deisroth’s Department Store, Hazleton. Preceding her in death, in addition to her parents, were her husband, Arthur D. Young, in 1947; sisters Adeline Kashi and Joyce Genetti; and brothers John and Joseph Genetti. Surviving are children, Art Young, Hazleton, and Margaret Lychock, Las Vegas, Nev.; brother, Leon Genetti, Calbeth Place, Hazleton; sister, Catherine Farkus, Reading; four grandchildren; eight great-grandchildren; nieces and nephews. A private funeral will be held Thursday morning from the Boyle Funeral Home, Hazleton. Friends are invited to Mass of Christian Burial at 9:30 a.m. Thursday in St. Gabriel’s Church.